Once one of the largest markets for online foreign exchange trading, since the beginning of 2010 growth has been at a standstill. Boasting one of the largest client bases with a significant amount of disposable investment income, the United States was once one of the most lucrative markets in the online forex industry. 2008 marked the peak of the forex industry in the United States with the CFTC’s blessing of the NFA’s proposed $10 million capital requirements. The subsequent capital hikes that followed created an industry consolidation where smaller brokers sold their businesses outright or liquidated their US client base. With the introduction of the $20 million capital requirements and reduced leverage rules, the current market has only a handful of participants and by all measures is stagnant. 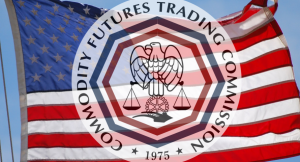 For those not familiar with these regulatory bodies, the Commodity Future Trading Commission (CFTC) is an independent agency of the US government which oversees the futures and options market in the United States. The CFTC has nothing to do with stocks, though. Securities or shares are regulated by a separate governmental body, namely the SEC (Securities Exchange Commission). So where does forex fit into all of this? Unlike other jurisdictions, forex doesn’t have its own seperate regulation, rather it falls under the umbrella of futures, which is why the CFTC serves as its regulator. The National Futures Association (NFA) is the group that all forex brokers must belong to. The NFA is kind of like a private, members only club. With this in mind, one might ask, what is the relationship between the CFTC and NFA? We feel the best explanation can be found from the Assest Management firm RCM Alternatives, who explain that “the CFTC writes the rules and enforces them for non-NFA members, and the NFA enforces the rules for its members unless the infraction is a large one.” In essence, all brokers who joins the club follows the rules of the NFA and in extreme cases the CFTC steps in. Despite a lack of forex brokers to regulate, the CFTC keeps itself quite busy, being one of the most aggressive regulatory bodies in the world. Pick up any financial news digest and you’d be hard pressed not to find a report about the CFTC fining one group or another. For this reason, we cannot emphasize the risk in actively soliciting or targeting traders in the United States without a license. This practice is highly risky. Unlike other regulator bodies, the CFTC has no qualms about cooperating with other countries to enforce its rules, the case of JAFX being one of the most recent. What Does the Future Hold for US Forex Regulations? The 2016 election brought speculation that the Trump administration would bring about a more business friendly environment for the forex industry, especially when it comes to Dodd-Frank legislation. So far, though, we don’t see any changes in the foreseeable future with relation to the current capital requirements set by the CFTC. For this reason, obtaining a forex license in USA is extremely cost prohibitive. Those looking to launch their own brokerage should consider obtaining a forex license in many of the other jurisdictions available around the world. On a final note, we strongly urge unlicensed brokers who target US retail customers to consider the risks of this decision. In the US it makes more sense to register as an introducing broker than trying to obtain clients illegally. As outlined in this article, the penalties are severe for those who break the guidelines set by the CFTC.